Long-stemmed Red Roses are synonymous with Valentine's Day & the demand for them is very high on 14th February. While White Roses represent innocence, purity and charm they also are presented as funeral or sympathy flowers. 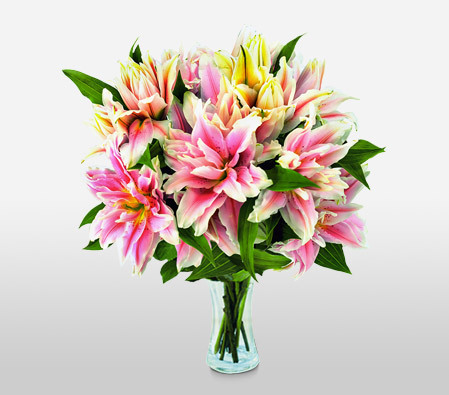 Sending a bouquet of Roses worldwide has never been so easy with Flora2000. We offer same day or next day deliveries through a network of local florist & flower shops that stock the freshest of exotic Roses & other type of flowers. Send Easter Flower Arrangement, Easter Hampers & Gift Baskets to United Kingdom. We have an exclusive collection of flower arrangements, hampers & baskets for this Easter. Our classy collection of flowers & Gifts for Easter to United Kingdom.